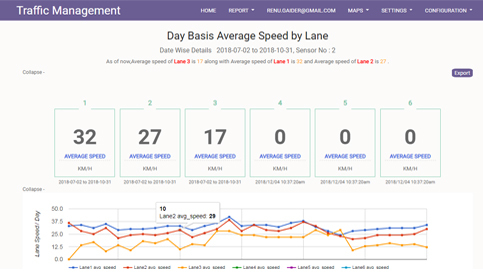 Neev aids efficient traffic management with its smart technology network. Easy monitoring of traffic trends and detection of violations leads to a safer city and facilitates public convenience with smooth mobility. 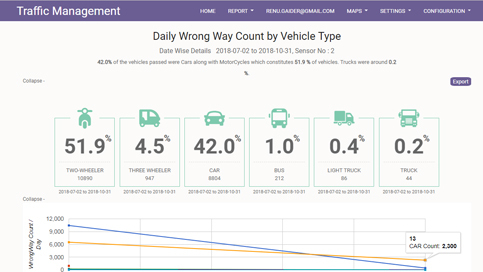 Neev’s smart network provides traffic data on a daily basis which can be analyzed to better plan traffic routes and ensure smooth mobility. 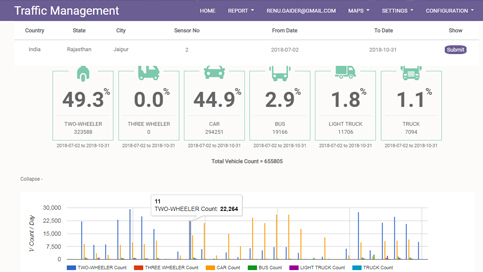 The digital system can identify the number and type of cars on various routes, which gives a detailed overview of the frequently chaotic areas. The network enables immediate action by authorities as well as long term planning to better streamline traffic movement. Neev’s laser/ radar technology enables automatic and instant detection of average speed of a vehicle, ensuring maximum speed limits are adhered to. The system, which can capture high quality images, is built to detect infractions of vehicles of all countries with an accuracy of more than 99 %, up to speeds of 250km/hr.The user-friendly system is non-intrusive, easy to install with portable or fixed models and can be integrated in new or old traffic systems. Smart city initiatives such as these are critical to ensuring road safety. Violations of traffic rules – red light jumps, over-speeding or crossing pedestrian way – can be efficiently detected with Neev’s smart network, to manage traffic security.The digital system recognises number plate of infractions automatically and ensures availability of the image of the violation via a telemetric link. The high quality images captured can also be stored and later provided as proof of violations.The least intrusive passive sensors cause no disturbance to citizens and are maintenance free.